The Fourth of July is nearly here. We are now less than a month away from the opening of Denver Broncos training camp, and soon, the preseason games will already be upon us. As we enjoy a weekend of celebrating our nation’s independence, it is important to remember all of the men and the women who have served around the world, in various branches of the United States military. 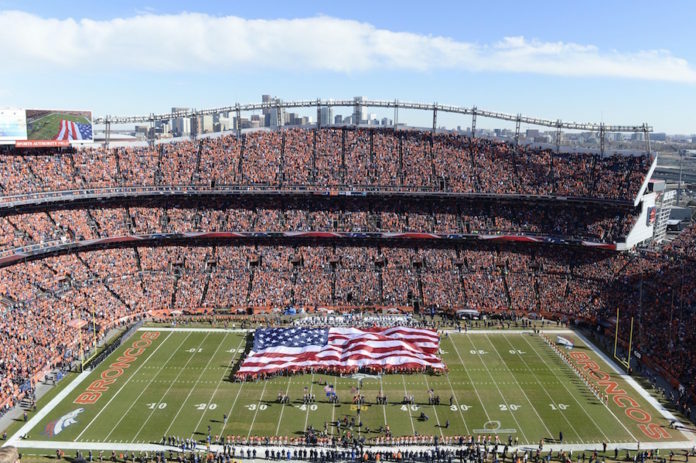 The Broncos are hardly strangers to bringing former military members into their organization. The discipline and dedication that these individuals have brought to the franchise has been invaluable. Current defensive line coach Chris Beake was a graduate of the United States Air Force Academy back in 1992, and he also served as a graduate assistant for the Academy in 1994. 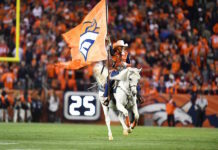 As we honor the men and women that have sacrificed to make this country great, there are a few Broncos players we should appreciate among that group. Mike Anderson didn’t even play high school football, but that didn’t stop him from having a memorable career with the Denver Broncos. Anderson joined the United States Marine Corps after high school and began playing football on the Marines contact football team. A junior college coach spotted the big running back and he would end up playing junior college football for two years before transferring to the University of Utah. He was named all-conference twice, and the Denver Broncos would select him in the sixth round of the 2000 NFL Draft. Anderson wasn’t expected to get much playing time, but when both Terrell Davis and Olandis Gary went down with injuries, the former Marine made the most of his opportunity. Anderson rushed for 1,487 yards and 15 touchdowns, and was named the 2000 NFL Offensive Rookie of the Year. In Week 14 against the New Orleans Saints, he carried the ball 37 times for 251 yards and four touchdowns, setting the single-game franchise record for rushing yards. Anderson would play five seasons in Denver, rushing for 3,822 yards, and 36 touchdowns. He may not have been drafted, but Ben Garland has managed to make a solid career for himself in the NFL. A Western Slope kid, Garland attended Grand Junction Central High School before signing up to attend the Air Force Academy. He put together four very productive seasons and made enough of an impression on the Broncos that they signed him as a free agent following the 2010 NFL Draft. 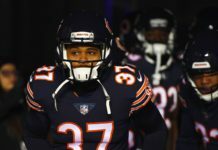 Denver placed Garland on their reserve/military list so that he could finish out his commitment, and he was signed to the practice squad in 2012. He played two seasons in Denver before being released, and would go on to join the Atlanta Falcons in 2016. In the 2016 NFC Playoffs, Garland showed his versatility by lining up as a defensive lineman against the Seattle Seahawks, and sacking quarterback Russell Wilson for a safety. Gene Mingo has the distinction of scoring the first touchdown in Denver Broncos history. That isn’t bad for a kid who dropped out of high school to help take care of his ill mother. Mingo would eventually join the United States Navy and flourish on the football field. He received his honorable discharge in 1959 and was granted a tryout with a brand-new expansion team from Denver in 1960. He made the team as a placekicker, but proved to be a worthy running back and kick returner, as well. Mingo was the first African-American placekicker in professional football, and from 1960-64 he led the team in scoring three different times. The former Navy Midshipman would score 408 career points for the Broncos. In the very first game in franchise history, he returned a punt 76 yards for a touchdown to help beat the Boston Patriots. In 2014, Gene Mingo was elected into the Denver Broncos Ring of Fame. In the 1970s the Denver Broncos were in the middle of compiling one of the greatest defenses in NFL history. Reviews were mixed on John Ralston as a head coach, but no one could argue his eye for spotting talent. Lyle Alzado, Randy Gradishar, Tom Jackson, Barney Chavous and Louis Wright were all drafted under the supervision of Ralston. In 1974, the Buffalo Bills drafted scrappy linebacker Joe Rizzo, who had played some football for the United States Merchant Marines. A knee injury caused Rizzo to flunk his initial physical, and Buffalo released him. Ralston grabbed him, and once his knee had healed he became a member of one of the greatest linebacker groups to ever play in Denver. With Rizzo and Gradishar playing inside, and Jackson and Bob Swenson on the outside, Joe Collier’s 3-4 defensive scheme became a force. Rizzo was a starter on the Broncos’ very first Super Bowl team in 1977, and he still holds the franchise record for most interceptions in a single game by a linebacker with three. The Broncos used a seventh-round pick on Steve Russ in the 1995 NFL Draft. A graduate of the Air Force Academy and a four-year letterman, Russ earned second-team All-WAC honors in 1994. He was selected to play in both the Blue-Gray All-Star Game, and the East-West Shrine Game following his senior season. He caught the Broncos’ eye and became one of just seven players to ever be drafted out of the Air Force Academy into the National Football League. 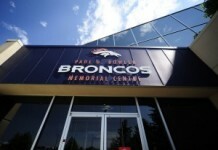 The Broncos had to wait for Russ to fulfill his military duty, but he was able to join the roster in 1997. Primarily a practice player and special teamer, Russ was a member of the Broncos Super Bowl teams in 1997 and ’98. Following his playing career, Russ entered the coaching profession. He is currently the assistant head coach and co-defensive coordinator at Air Force.